BALTIMORE, July 7 (Reuters) - The highest-ranking Baltimore police officer charged in the death of black detainee Freddie Gray should have secured him in the transport van where Gray broke his neck, a Maryland prosecutor said on Thursday at the start of his manslaughter trial. Lieutenant Brian Rice, 42, is the highest-ranking officer to be tried for Gray's death in April 2015. Prosecutors are still looking for their first conviction in the high-profile case. 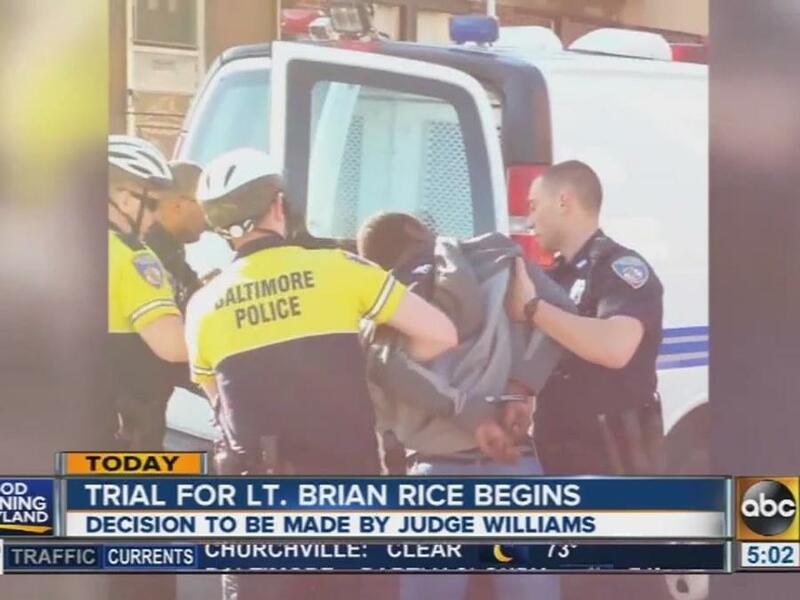 Rice is the fourth to be tried of six officers charged in Gray's death. The incident triggered rioting in which nearly 400 buildings were damaged or destroyed in the majority black city of 620,000 people. Rice ordered Nero and another officer in a bicycle patrol to pursue Gray when he fled unprovoked in a high-crime area. Prosecutors allege that Rice failed to secure Gray, 25, with a seat belt when he helped put him into the van while shackled. "Because of decisions that Lieutenant Rice made that day, Mr. Gray is dead," chief prosecutor Michael Schatzow said in Baltimore City Circuit Court. Schatzow told Judge Barry Williams, who is hearing the case in a bench trial, that Rice should have seat-belted Gray and called for a medic. Rice was "in charge and superior in rank to everyone," Schatzow said. He added that Rice was told via email days before Gray's arrest that updated police department protocol mandated seat-belting detainees in transport vans. Gray's death stoked a national debate about police treatment of minorities. That debate flared anew this week with the deaths of African-Americans at the hands of police in Minnesota and Louisiana. Rice is charged with involuntary manslaughter, second-degree assault, misconduct in office and reckless endangerment. Prosecutors dropped another misconduct count on Thursday. Williams has acquitted two officers in the Gray case. Another officer faces retrial after a jury deadlocked. Williams dealt a blow to prosecutors' case at a hearing on Tuesday when he ruled that neither they nor the defense could use 4,000 pages of documents related to Rice's training. Prosecutors had turned it over to the defense only last week. Training has been a major part of the cases against the officers. Prosecutors allege that they knowingly violated department guidelines when they arrested Gray and put him in the wagon without securing him. But defense lawyers have argued in previous cases that officers had the discretion not to use a seat belt if a detainee was combative.